There’s no doubt that high school football in Texas is a big deal. There are numerous communities large and small that live for Friday nights in the Fall, but near the top of the enthusiasm list every year is the City of Katy, outside of Houston. While the Katy Independent School District encompasses eight different high schools that play football, the original high school (Katy High), is at the top of the list when it comes to tradition and success. The Katy Tigers have captured eight overall Texas state high school football championships, which ties the school with Celina, Richland Springs and Southlake Carroll for the most all-time. In 2005, Katy squared-off with Southlake Carroll for the Class 5A Division II championship with current Cincinnati Bengals quarterback Andy Dalton at the offensive controls for the Tigers. Katy and Dalton ended-up on the short end of a 34-20 decision, but Andy’s memories of being a Tiger are still strong thirteen years later. 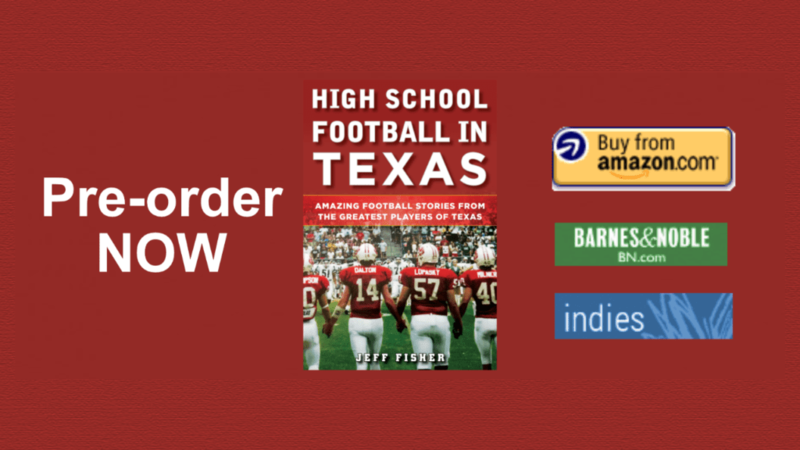 I spoke Andy about his Katy days for a feature chapter in my upcoming book High School Football in Texas: Amazing Football Stories From the Greatest Players of Texas.